Believe in Books Literacy Foundation - Jackson NH and Mt. Washington Valley Area Information. Pumpkin People, Tradionally Yours Events, Lodging specials, Dining and Ski Area Info. The mission of the Believe in Books Literacy Foundation is to advance healthy development of young minds through literacy programs that encourage early reading, imagination, and physical activity. The Foundation is best know for its Journey to the North Pole fundraiser, the Theater in the Woods”event space, and the 100 acre wood, which hosts a trail system open to hikers, bikers, and skiers. 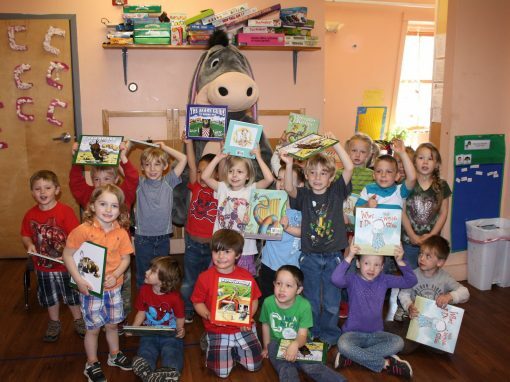 Over $2 million has been gifted through literacy programs, scholarships, grants and book distributions in New Hampshire and Western Maine. Very nice place to stop and enjoy the views and shopping. Folks are kind and helpful. Highly recommend. Subscribe To Hear More From Us! Join our mailing list to receive the latest news and updates from the folks at Jackson!